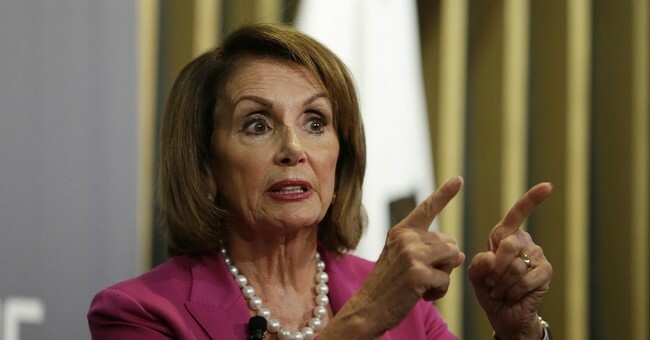 House Speaker Nancy Pelosi (D-CA) appeared on "60 Minutes" on Sunday to talk about the wide range of issues. Not surprisingly, Pelosi used the spotlight to talk about the "great work" the Democrats have done since they've retaken the House. Translation: she used the time to talk about how great her and her leadership is. "The power of the Speaker is to set the agenda. We didn't have a Speaker that would bring a gun bill to the floor. We didn't have a Speaker that would bring a DREAMers issue to the floor," Pelosi said, referencing former Speaker Paul Ryan (R-WI). "We do now. And that's a very big difference. The power of the Speaker is awesome. Awesome." Apparently Pelosi wanted to focus on how "courageous" she must be for bringing forward gun control and DREAMer legislation. She must forget that her party control the House, meaning it's a no brainer for her. She knows it's going to pass. That's not power. That's common sense. But the scary party is how "awesome" Pelosi thinks the Speaker's power is. And even more proof that she's a power hungry individual. It's about her and her desire to control things. That's the type of danger the founding fathers warned about. Talk about a mic drop worthy statement.